What's the matter bub? Life got you down? Did your boss yell at you? Did your kid get kicked out of school for running with scissors? Did your wife run away with your marriage therapist? Did your dog bite you and also leave with your marriage therapist? Worst of all...did they cancel your favorite TV program because it was up against Dancing With the Stars? Well buck up mister, your luck is about the change for the better. That's because joy has once again returned in another heart-warming issue of your favorite newsletter of the weird and strange...Conspiracy Journal! CLOSE ENCOUNTERS OF THE DANGEROUS KIND! Secret Government Findings Claim There Is A Valid "Alien Threat"
Because of the frightening nature of its fully documented findings, this may well be the most startling book you will ever read about the dangerous side of UFOs! This incredible book contains case histories of UFO atrocities, from strange disappearances to bizarre deaths. There are hundreds of ALARMING CASES that are detailed in this book – and it is evident there is NO PLACE TO HIDE! 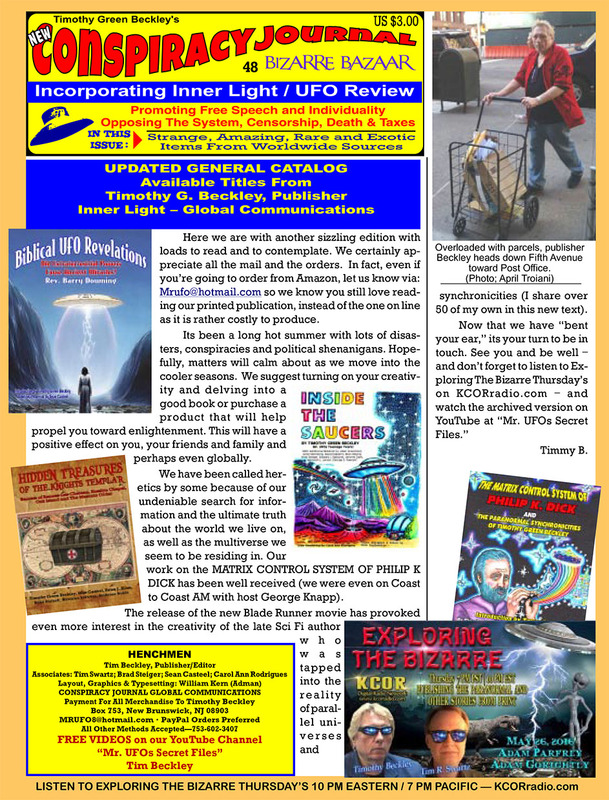 So don't delay, order your copy of UFO Hostilities And The Evil Alien Agenda: Lethal Encounters With Ultra-Terrestrials Exposed before this offer expires! $18.00 plus $5.00 for shipping - A GREAT PRICE! Are children more attuned to the supernatural? 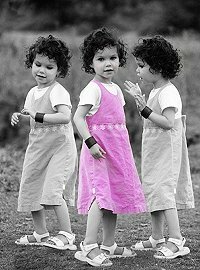 Many researchers suspect that children, from the youngest ages and into early teens, are more likely to experience paranormal phenomena because they have not yet developed the prejudices that many adults have against such far-out, "unscientific" ideas. Perhaps they have not yet created their own filters for feelings and experiences that most of society consider irrational or abnormal. Or it could be that young brains or minds are, for whatever reason, physically more receptive to such phenomena as ghosts, near-death experiences, past-life recall and premonitions. Years ago while in my teens, my mom took me with her to pick up one of her elderly friends to give her a ride to our church. We weren't going that night, but my mom was always helpful to the senior citizens at our church. When we got to my mom's friend's house, mom asked me to go to the door to tell her that we were outside waiting on her. I rang the doorbell and the elderly lady opened the door, said "hello" and left me standing in the doorway for a few minutes while she finished getting ready. The couch in the elderly lady's living room was partially shielded by the door, but I could see a man sitting on her couch in front of her TV, which was turned on. He never moved or spoke to me as I stood there. I was very shy and didn't attempt to speak to him either. I distinctly remember he had on a white shirt, black pinstriped pants, black nylon socks and shiny black shoes. His hands rested on his knees. I remember that his hand was wrinkled and appeared to be that of an elderly, very dark, African-American man, but I was positioned in a way that I could not see his face. After a few minutes, the elderly lady grabbed her coat and walked out the door locking it behind her. She left the man sitting on her couch watching television, but she hadn't said anything to him when she left. I thought that it was rather strange, but said nothing about it to her. After we dropped the elderly lady off at church, I said, "Mom, Mrs. McClain left a man in her house, but she didn't say bye to him when we left." I also told her that he was sitting on her couch in front of the TV. She asked me what he looked like because Mrs. McClain's landlord came to visit her from time to time. I described what I saw to my mom, but told her that I didn't see his face. My mom said that the description that I gave did not match that of her landlord, because he was a very pale-skinned man. What Did Baby Brother See? When my little brother was a baby, maybe nine months old, we lived with my grandma. My grandpa had just died. My mom was sitting in the living room around midnight trying to get my brother to sleep, but he wouldn't stop crying. Suddenly, out of nowhere he stopped crying, sat straight up and said, "Hi, grandpa." There was no one else in the room at all. The weird thing is, he said those words so clearly, and he had never spoken before, not even to say "mom"! - Beth B. Many of your UK readers between the ages of 45 and 55 will probably remember a TV show called "Watch with Mother". The show was on the BBC in the 1950s and featured a string puppet named "Andy Pandy", he had a sidekick named "Loopy Lou or Looby Lou". One day my brother and sister where playing upstairs in our front bedroom. This room was about 12 ft. x 12 ft. and had a cupboard in the corner, which was directly over the stairs. My sister and brother, both now in their late 40s, swear to this day that Andy Pandy came out of that cupboard in the corner and spent the next hour playing with them both. This Andy Pandy, however, was about four feet high and had no strings attached. I have questioned both of them over the years and still their story remains the same. - Mike C.
When I was seven years old, one weekend I planned to stay up late downstairs playing video games and then sleep on the pull-out bed. I was preparing to go to bed when, for some reason, I got the impression that something was watching me. I got scared enough to run back upstairs, and while I was running, I could see very short (no larger than two feet tall) and squat figures darting after me. They were very indistinct in features, and appeared as nothing more than inky-black silhouettes. 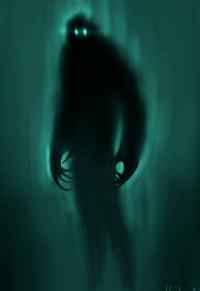 Also, when my aunt was young, she was sleeping over at a friend's house at the end of the street when she said that a "shadow man" appeared at the foot of the bed and began to call out her friend's name. She screamed and said that it disappeared into the floor. My mother's family (parents and siblings) lived in Binghamton, New York. My dad was in the Navy and my parents, my sister and I lived in Patuxent River, Maryland. I was six years old at the time. Even though we lived in Maryland, I knew most of my mother's family because we would visit them quite often in Binghamton, and during the summer they all came to visit us. At the time, my cousin, Marylou, who lived in Binghamton, was 11 years old. I got home from school one day and asked my mother why Marylou was crying. She didn't understand what I was talking about. I told her that I heard her crying. She was quite puzzled by my statement and had no explanation. Within a few hours, the phone rang. It was my grandmother calling to say that my cousin had been hit by a car walking home from school - about the same time I told my mother I could hear her crying. I have had a few other premonitions, but this is the one I remember most. - Nancy T.
When my cousin was little, she would always say that she was visited by "a friend." My family thought this was an imaginary friend. One day while looking through a photo album, my cousin saw a picture of her grandfather who had died only a few years before she was born. She had never seen this picture before. She said that the man in the picture (her grandfather) was the friend who visited her regularly. This is interesting because my grandfather adored his grandchildren, and I could envision him wanting to meet the one who was born after he died. - Dennis and Heather S.
My mom told me this story, and she still cries when she tells it. It has never been explained. My sister, Shirley (the firstborn), died of Downs Syndrome at the age of two in 1961. She had holes in her heart. Almost two years later, my mother had a baby boy, my brother, Steven. One day in 1962, my mom was up in the attic doing some work, and my dad was in the basement in his workshop. Steven was supposedly napping in a playpen (age one) in the den. My mom heard, clear as day, Shirley's voice saying, "Dadda! Dadda!" ...and it was as though she were right there next to her in the attic. Clear as day. My dad heard the SAME THING down in his workshop. "Dadda! Dadda!" They both say it was distinctly Shirley's voice - loud and clear. Dad ran up to tell mom; mom ran to tell dad. They both ran into the den, and there was baby Steven with plastic dry cleaner's sheeting that he had reached for on the couch - and he was suffocating. Mom and dad both told us later on that it could not have been Steven calling them; he called my dad, "daddy" not "dadda," and it was not his voice. They are convinced to this day that it was Shirley warning them that her brother was suffocating. - Donna B. Park Ranger Films China's "Loch Ness monster"
A park worker claimed to have seen China's most renowned lake monster swimming under the water surface. 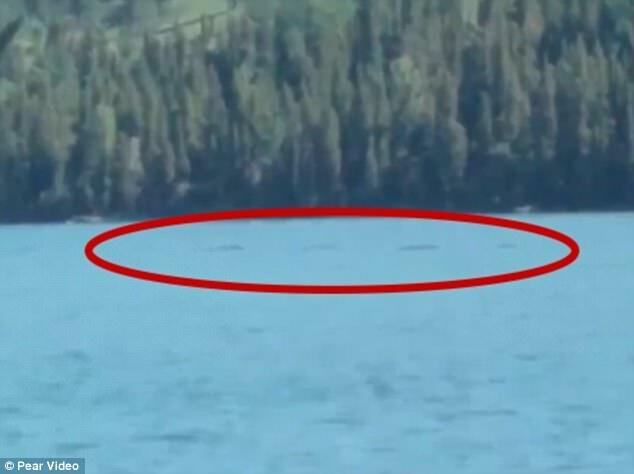 Wang Xin'an, from Xinjiang, captured four mysterious moving objects swimming in the Kanas Lake on his mobile phone when he patrolled the scenic spot yesterday. Mr Wang was convinced that the eerie waves were made by the Kanas Lake monster, which has been compared to the Loch Ness monster in Scotland. Mr Wang explained that the objects were leaping out of water, according to a video from Pear. Sun Jidan, the director of the wildlife reserve centre at Kanas Lake, suggested that the waves in the video could have been caused by big marine animals, which tend to appear in the lake to hunt for food every June. 'The lake is at its highest water level, so those fishes or other creatures would come here for food,' he explained. Last month, a few tourists claimed that they had also filmed the Kanas Lake monster moving slowly under the water. A group of Chinese tourists visited the famous Kanas Lake on May 15 and filmed the moment gentle waves appeared in the middle of the lake. 'Really! There it (Kanas Lake monster) is! There it is,' shouted a woman. Yang Weiqiang, a worker at the Kanas Lake scenic spot, told Pear Video that this was the first 'sighting' of the monster in 2018. Rumour of the monster started in 1980 and the lake has been flooded with tourists since who want to see the legendary beast. In 2012, a worker also filmed similar footage showing big waves emerging on the surface of the lake. 'I compared it to the size of a speed boat and a wild duck, the size of the mysterious object should be between the two,' Wang Hongqiao told China Central Television. Yuan Guoying, a researcher at the Xinjiang Environment Protection Centre believed the Kanas monster is a group of Siberian giant trouts. 'Given the habitat and the waves, there is only one kind of fish that could live in the lake and that's Siberian giant trouts,' said Mr Yuan to China Central Television. 'What actually happened under the water is that the Siberian giant trouts want to hunt for small fish and the small fish swim close to the water surface to avoid the trouts,' he added. However, Mr Yuan's claims are yet to be confirmed. Self-proclaimed eyewitnesses have described that the shadow in the lake stretches about 10 metres (33ft) long. However, a Siberian giant trout can only grow up to two metres (6.6ft). What is China's Kanas Lake monster? Kanas Lake, a freshwater lake, is situated in a valley of Altai mountain in Xinjiang Uyghur autonomous region in north-west China. Nearby villagers believe that a giant mysterious creature, knonwn as the Kanas Lake monster (????? ), lives in the 390ft deep lake. It's claimed that the beast, often likened to the Loch Ness monster in Scotland, would occasionally emerge to drag horses into the water before eating them. The first official sighting of the Kanas Lake monster in China was reported in 1980 by state-run Guangming Daily, causing an outcry in the nation. The report described a mysterious shadow and waves appearing in the middle of the lake. The alleged monster has since lured thousands of visitors to visit the scenic spot. Environmental protection expert Yuan Guoying firmly believed the allegedly monster is a group of Siberian giant trouts, a species belonging to the salmon family. He said the lake is habitable for the species. He explained the waves occur when the trouts hunt and chase after small fish in the lake. Apparent sightings of the Kanas Lake monster were reported in 2009, 2011, 2014, 2016 and last year. Fairies are a well-known staple of folklore and modern children’s literature: supernatural beings who were thought by people of previous ages to inhabit the pastoral landscapes of Europe. But while belief in such creatures might be assumed to have no place in our modern, rational world, it seems fairies don’t really care, as new research has found that some people still regularly have encounters with them. In fact, more than ‘some’: in the newly released, 400-page-long Fairy Census, 2014-2017 (free PDF download), some five hundred fairy experiences from the modern day are detailed. They were collected over the last few years via an ongoing internet questionnaire about who sees fairies, when and why. The Fairy Census questionaire was designed not only to just let the respondent relay their experience; it also sought to understand the phenomenon better by looking for common elements. 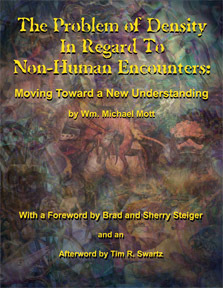 As such, questions included the location of the experience, whether other people were present (and if they too experienced it), the time of day, the duration of the experience, the mood of the fairy, how often the experiencer has had other supernatural experiences, any special state of consciousness before the experience, and any special phenomena connected to the experience such as loss of sense of time or strange sensations. In the PDF, the experiences, recorded between 18 Nov 2014 and 20 Nov 2017, are divided into five sections based on geography: Britain and Ireland; North America; Europe; Australasia; and the ‘Rest of the World’. Editor Simon Young, a British historian who has written extensively on the topic of folklore, says that the Census is being released in PDF format free of charge in the hope that it will allow and encourage others to undertake their own research into the topic of fairies. "358) US (Oregon).Female; 2000s; 21-30; inside a private house; on my own; 9 am-12 pm; less than a minute; friendly, mischievous, ‘not sure, they seemed to want to be near me’; occasional supernatural experiences; no special state reported; a sense that the experience was a display put on specially for you, unusually vivid memories of the experience. "It was around 10 or 11 am in the early summer of 2002, and I was in the bathroom, just starting my bath. It was so warm and bright that I had the small window open, and the breeze was coming right in from the backyard. (There was never a screen on that window because it was a little high up, and too small for a person). I shrugged off my robe, and sat down on the tub edge, waiting for the tub to fill. Quite suddenly, a flickering cloud of little lights came right in through the window and, as though attracted to me, flew close, almost touching, around my head and shoulders. "I was so shocked that my brain just froze! There was a tickle in my nose, and something in my understanding just clicked. I said out loud, and I mean, LOUD, (though as a twenty-nine-year-old woman such a thing had never occurred to me as being within the realms of possibility or even reality) ‘Hey! Faeries! Go away!’ And I tossed my head and flicked my wrist. The cloud of little lights zoomed off a little bit away from me, then gathered close together, for just a second, and I almost heard a sound, but it wasn’t quite a sound, really, more of an impression that there was communication between them that I could very nearly hear, like a buzz or a high frequency whine or bells shimmering like when they bless the Host in Mass – and then they flew as one, right out the window again! "I was so surprised that I jumped up, naked as a jaybird, shut the window, and yelled out to my husband to come to the bathroom. My knees were too wobbly to support me just then. Whew! Never thought I’d get a chance to tell that to someone who didn’t think I was NUTS!!!" For the skeptical readers, editor Simon Young notes that while previous well-known ‘fairyists’ such as Evans Wentz and Marjorie Johnson set out trying to prove that fairies exist, he does not have this ambition – he is just trying to understand the phenomenon better. Nevertheless, he is “convinced of the sincerity of the vast, vast majority of respondents”. While in four or five cases he suspected that the respondent “made up the account for fun, or found themselves bored late at night on the internet with a whisky”, Young says that after reading hundreds of accounts “you get a feel for patterns within impossible experiences”. He nevertheless included the suspect accounts, “because I can hardly edit out experiences that smell rotten, to my subjective and possibly flawed judgment”. To dig a bit deeper into fairylore beyond the accounts in the Census, be sure to get the companion book featuring essays from Simon Young and other folklorists and historians, Magical Folk: British and Irish Fairies, 500 AD to the Present, available now from Amazon US and Amazon UK. And you can head over to the Facebook page for the Fairy Investigation Society to find out more about research into fairy sightings, both ancient and modern. 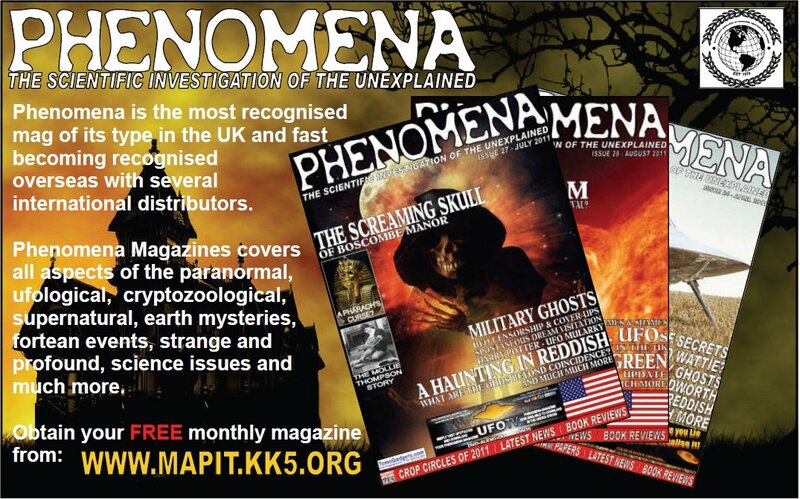 UK Bigfoot, Werewolves or Subterranean Creatures? Britain has a long history of lycanthropy - from the tale of the notorious Flixton Werewolf that terrorized the north of England more than a thousand years ago, to the strange sagas of the Hexham Heads, the Abbotsham werewolf, the wild Wolfman of Lynton, and countless others. But quite possibly nothing compares with the incredible wave of wolfish-weirdness that has recently descended upon Britain's Cannock Chase - a large area of forest land in central England, and a location that has become a veritable hotbed for encounters with big cats, ghostly black dogs, Bigfoot-like entities, and now werewolves. On April 26, 2007, the Stafford Post newspaper (which covers the area in question) stated the following: "A rash of sightings of a 'werewolf' type creature prowling around the outskirts of Stafford have prompted a respected Midlands paranormal group to investigate. West Midlands Ghost Club says they have been contacted by a number of shocked residents who saw what they claimed to be a `hairy wolf-type creature' walking on its hind legs around the German War Cemetery, just off Camp Road, in between Stafford and Cannock. Several of them claim the creature sprang up on its hind legs and ran into the nearby bushes when it was spotted." "Nick Duffy, of West Midlands Ghost Club, said the stories of werewolf sightings in Chase area were something that he had encountered before. He said: 'The first person to contact us was a postman, who told us he had seen what he thought was a werewolf on the German War Cemetery site. He said he was over there on a motorbike and saw what he believed was a large dog. When he got closer, the creature got on his hind legs and ran away.'" The Post quoted Duffy as adding that: "I’ve spoke to many witnesses and I know when they are putting it on. But what struck me as strange about this was the way he told it. I'm in no doubt that he was telling the truth." The creature was also apparently spotted by a scout leader walking over the forest land earlier in April. The man, who the Post stated did not want to be named, said he saw what he initially believed was a large dog prowling by the bushes. It was only when he got into his car to drive away that he realised something weird was afoot. A tribe of subterranean creatures who surface on Cannock Chase to hunt for food could be behind a rash of 'werewolf' and Big Foot sightings near Stafford. And the mysterious beings could also be responsible for a string of pet disappearances, it has been claimed. West Midlands Ghost Club, our area's top paranormal investigation group, say they have been contacted by a number of shocked eye-witnesses who claim they have come to face to face with a 'hairy, wolf-type creature' at the beauty spot. A scout leader and a local post man are amongst the 'credible' witnesses to contact the club. Theories behind the sightings range from a crazed tramp to aliens. But now another paranormal expert has put forward the theory the sub-human beast is not a werewolf at all - but a Stone Age throwback. The investigator, who wishes to remain anonymous, told us: "Strange sightings in this area have been made over many years by civilians, military, police, ex-police and scout leaders on patrol. "Some incidents have been reported and logged but others not - some people don't want to be classed as 'mad'. "The strangest rumour has come from a senior local resident who believes the mysterious intruders to be subterranean," he told us. "The creatures have made their way to the surface via old earthworks to hunt, for example, local deer." And, on the surface, the far-fetched tale could be easily dismissed. However, our expert added: "It's a fact that there has been significant mining activity under Cannock Chase for centuries. "And it's a fact there is a high rate of domestic pet disappearance in the area --especially dogs off the lead...just ask anyone who walks their dog near the German War Cemetery..."
Nick Duffy, a lead member of West Midlands Ghost Club, told us he was intrigued by this new theory: "It's as likely as any of the others - so it could well be," he said. Susan continues: “As Derenberger came up on the Intersection of I-77 and Route 47, he thought that a tractor trailer truck was tailgating him without its lights on, which was unnerving, so he swerved to the side of the road and much to his surprise, the truck appeared to take flight and seemed to roll across his panel truck. To his astonishment, what Derenberger thought was a truck was a charcoal colored UFO without any lights on. It touched down and then hovered about 10 inches above the berm of the road. Much to Derenberger’s surprise a hatch opened and a man stepped out looking like ‘any ordinary man you would see on the street – there was nothing unusual about his appearance. Except the man was dressed in dark clothing and had a ‘beaming smile. '” There was, however, something not quite right about that smile. The strange figure said that his/its name was Indrid Cold. Certainly, Cold is the definitive sinister, smiling thing. He was an enigmatic character who played a significant role in the Mothman wave that dominated Point Pleasant, West Virginia from 1966 to 1967. Cold’s crazed and eerie smile never left him, something which provoked fear among those who encountered him. He still surfaces to this day – much to the cost of those who cross his path. Indeed, in my new book, The Black Diary, Susan Sheppard talks about her very own encounters with what may well have been Cold, in the early 2000s. The Hat Man is a Man in Black-type being that appears in shadowy form; not unlike the infamous Shadow People – to whom the Hat Man is almost certainly related. On many occasions, however, the Hat Man appears in regular, human form, wearing a black suit, and sometimes a long overcoat or a cloak – always black, too. Most noticeable about this creepy figure is, of course, his hat. Sometimes, it’s a fedora, other times it’s an old style top hat. Occasionally, it’s more like a cowboy hat. But, regardless of the kind of headgear, it’s always present and always black. Many of the encounters occur while the victim is in a distinct altered state – that of sleeping. Angie had just such an encounter in Leominster, Massachusetts, on September 6, 1994, as she told me late on the evening of October 8, 2014. 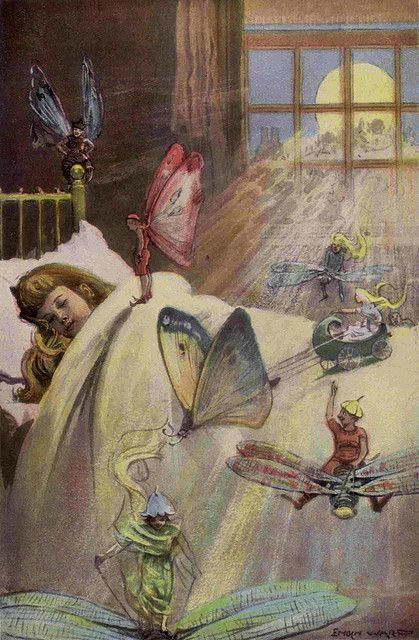 Her reason for contacting me was due to the fact that, quite out of the blue, she had suddenly begun to dream of the events of twenty years earlier – and dream of them almost every night for a couple of weeks. 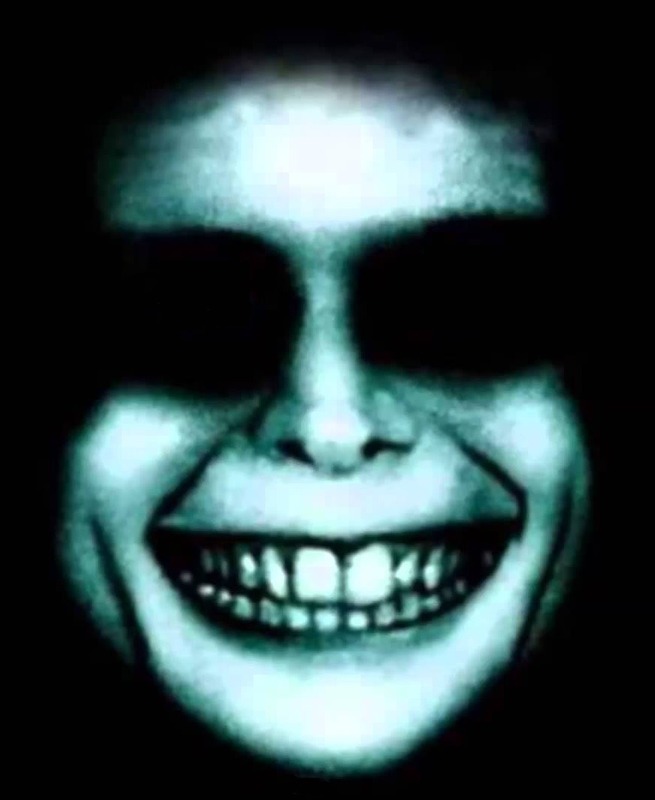 Angie was sleeping when the mysterious thing disturbed her sleep by manifesting in her bedroom and staring at her with a menacing smile on its pale, ghoulish face. For a few moments, Angie was unable to move. As she finally broke the spell of paralysis, however, the Hat Man was gone. Jaye P. Paro was a woman who had a number of bizarre, UFO-themed encounters in May 1967, in upstate New York. At the time, she was a host on Babylon, New York’s WBAB station. On one particular day Jaye decided to take a walk. It was barely dawn, and the town in which she lived was still shrouded in shadows. As she walked passed a particularly dark alley, a Woman in Black loomed into view, as if from nowhere, or from some nightmarish realm. Then, out of the blue, came a black Cadillac, the absolute calling card of the MIB and the WIB. It came to a screeching halt next to the two women, and out of one of the rear doors came an unsettling-looking character. It was a man dressed in a dark grey suit, with what was described as an “oriental” appearance, and who sported a disturbing smile. The driver seemed almost identical in appearance. The man with the fearsome smile shook Jaye’s hand and said, “I am Apol.” Jaye said that holding Apol’s hand was like holding the hand of a cold corpse. Should you ever encounter one of these disturbing entities, it’s probably best to stay away from them – and as far away as possible. Their smiles are most definitely not of the inviting kind. Bikita is rapidly becoming poltergeist central. Either that or credulity is running rampant in that small rural corner of Zimbabwe. In an earlier post I described how the Musirinofa family from Muhura village in Bikita claimed to be living in constant fear of being assaulted by stones whenever they set foot outside their home. That spook may now have a neighbour. According to the a report on Bulawayo news site B-Metro on 24 May, the Makuwe family of Bikita was being haunted by a mysterious force that started fires, threw stones and insulted them in a strange voice. The strange events so scared the family that they left their rural home and moved to a built up area. They believe the attacks may be either a spiritual attack or the work of an avenging spirit, the uzimu or ngozi. “This fire is mysterious because it is not a result of an electrical fault or bush fires. One just notices that fire from nowhere; it will start burning and before you know it, it has started destroying houses. This started in January last year, but no life has been lost since the outbreak. I don’t know the meaning of this strange fire which cannot be traced to a cause”. A neighbour of the Makuwe’s believes the outbreak was supernatural: “Maybe it is ngozi (avenging spirit) or something else” he said. “It is quite abnormal for fire to appear from nowhere and start destroying properties within the family”. Reporter Gibson Mhaka told the Cropster that he felt the family was sincere. While visiting the house he claimed to have heard the the strange voices. Their photographer was also pelted with stones – from nowhere. Chief Mpakwa said the incident was a first for the area. “We fear for the worst. It is unbelievable that houses can be burnt without any cause. This is scary not only for the family but for the whole village. We call upon those who have better knowledge on things like this to come and assist this family and the community,” Chief Mpakwa said.